Between Twitter and FaceTime, Facebook and Vine, it’s easier than ever for world leaders to communicate virtually. 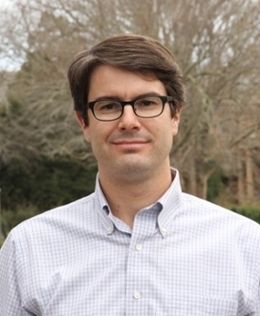 But Marcus Holmes, assistant professor of government at William & Mary, believes that might not always be the best option. The simple answer is science. Psychological evidence indicates that face-to-face interactions elicit deeper relationships and deeper understandings of both friends and adversaries, said Holmes. He’s been researching the topic as it relates to international diplomacy for years, the findings of which are compiled into a forthcoming book called Face-to-Face Diplomacy: Social Neuroscience and International Relations. As travel records prove, politicians, diplomats and world leaders agree. The past five secretaries of state have been the most traveled of any of their predecessors; John Kerry leads the pack with an estimated 1.06 million travel miles. Barack Obama was also the most well traveled president in U.S. history, embarking on 31 foreign trips since assuming office in 2009. The trips are costly, but as history suggests, immensely successful, resulting in numerous treaties, agreements and the endings of wars. One of the most notable examples of meaningful face-to-face interactions among leaders, said Holmes, is the series of summits between Ronald Reagan and Soviet leader Mikhail Gorbachev, which eased Soviet suspicions of an impending American attack and ultimately resulted in the end of the Cold War. How two leaders on the verge of war might come to understand and empathize with each other could be the work of specific architecture in the brain, the mirroring system, which is used to facilitate social interaction, said Holmes. According to some neuroscientists, the mirroring system helps us to develop speech and recognize facial expressions as babies – by mimicking our parents – but they might also be used for more sophisticated levels of understanding one another later on. Some of the most successful forms of projection include heads of state using social media to communicate quickly and effectively following an emergency. Great examples of this, said Holmes, are seen following natural disasters, such as the earthquakes in Nepal, Haiti and Myanmar. Among foreign ministries, digital diplomacy is being more and more encouraged on a day-to-day basis, too. Many leaders around the world make use of things like Twitter to share information, analysis and personal thoughts regularly – a reality the U.S. has come to know well under the current administration. One thing Holmes points out that politicians will have to remember is the ambiguity of messages delivered through social media. Moving forward in the age of technology, Holmes views face-to-face and digital diplomacy as a support system for each other, with digital diplomacy paving the way for more intimate discussions. As a continuation of his research on face-to-face diplomacy, he’ll also be looking deeper into what makes relationships such as that between Reagan and Gorbachev so successful, and how future leaders can deduce in advance who they should and shouldn’t engage with in matters of diplomacy.